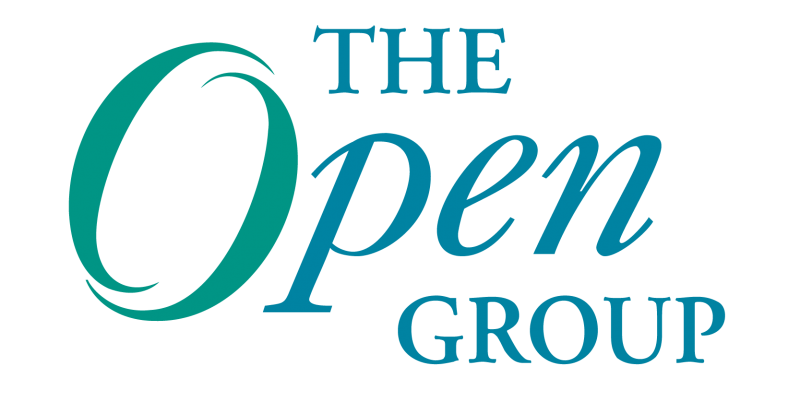 We recently spoke with Jim Hietala, Vice President, Security for The Open Group, at the 2014 San Francisco conference to discuss upcoming activities in The Open Group’s Security and Healthcare Forums. Jim, can you tell us what the Security Forum’s priorities are going to be for 2014 and what we can expect to see from the Forum? In terms of our priorities for 2014, we’re continuing to do work in Security Architecture and Information Security Management. In the area of Security Architecture, the big project that we’re doing is adding security to TOGAF®, so we’re working on the next version of the TOGAF standard and specification and there’s an active project involving folks from the Architecture Forum and the Security Forum to integrate security into and stripe it through TOGAF. So, on the Security Architecture side, that’s the priority. On the Information Security Management side, we’re continuing to do work in the area of Risk Management. We introduced a certification late last year, the OpenFAIR certification, and we’ll continue to do work in the area of Risk Management and Risk Analysis. We’re looking to add a second level to the certification program, and we’re doing some other work around the Risk Analysis standards that we’ve introduced. The theme of this conference was “Towards Boundaryless Information Flow™” and many of the tracks focused on convergence, and the convergence of things Big Data, mobile, Cloud, also known as Open Platform 3.0. How are those things affecting the realm of security right now? I think they’re just beginning to. Cloud—obviously the security issues around Cloud have been here as long as Cloud has been over the past four or five years. But if you look at things like the Internet of Things and some of the other things that comprise Open Platform 3.0, the security impacts are really just starting to be felt and considered. So I think information security professionals are really just starting to wrap their hands around, what are those new security risks that come with those technologies, and, more importantly, what do we need to do about them? What do we need to do to mitigate risk around something like the Internet of Things, for example? What kind of security threats do you think companies need to be most worried about over the next couple of years? There’s a plethora of things out there right now that organizations need to be concerned about. Certainly advanced persistent threat, the idea that maybe nation states are trying to attack other nations, is a big deal. It’s a very real threat, and it’s something that we have to think about – looking at the risks we’re facing, exactly what is that adversary and what are they capable of? I think profit-motivated criminals continue to be on everyone’s mind with all the credit card hacks that have just come out. We have to be concerned about cyber criminals who are profit motivated and who are very skilled and determined and obviously there’s a lot at stake there. All of those are very real things in the security world and things we have to defend against. The Security track at the San Francisco conference focused primarily on risk management. How can companies better approach and manage risk? As I mentioned, we did a lot of work over the last few years in the area of Risk Management and the FAIR Standard that we introduced breaks down risk into what’s the frequency of bad things happening and what’s the impact if they do happen? So I would suggest that taking that sort of approach, using something like taking the Risk Taxonomy Standard that we’ve introduced and the Risk Analysis Standard, and really looking at what are the critical assets to protect, who’s likely to attack them, what’s the probably frequency of attacks that we’ll see? And then looking at the impact side, what’s the consequence if somebody successfully attacks them? That’s really the key—breaking it down, looking at it that way and then taking the right mitigation steps to reduce risk on those assets that are really important. You’ve recently become involved in The Open Group’s new Healthcare Forum. Why a healthcare vertical forum for The Open Group? In the area of healthcare, what we see is that there’s just a highly fragmented aspect to the ecosystem. You’ve got healthcare information that’s captured in various places, and the information doesn’t necessarily flow from provider to payer to other providers. In looking at industry verticals, the healthcare industry seemed like an area that really needed a lot of approaches that we bring from The Open Group—TOGAF and Enterprise Architecture approaches that we have. If you take it up to a higher level, it really needs the Boundaryless Information Flow that we talk about in The Open Group. We need to get to the point where our information as patients is readily available in a secure manner to the people who need to give us care, as well as to us because in a lot of cases the information exists as islands in the healthcare industry. In looking at healthcare it just seemed like a natural place where, in our economies – and it’s really a global problem – a lot of money is spent on healthcare and there’s a lot of opportunities for improvement, both in the economics but in the patient care that’s delivered to individuals through the healthcare system. It just seemed like a great area for us to focus on. As the new Healthcare Forum kicks off this year, what are the priorities for the Forum? The Healthcare Forum has just published a whitepaper summarizing the workshop findings for the workshop that we held in Philadelphia last summer. We’re also working on a treatise, which will outline our views about the healthcare ecosystem and where standards and architecture work is most needing to be done. We expect to have that whitepaper produced over the next couple of months. Beyond that, we see a lot of opportunities for doing architecture and standards work in the healthcare sector, and our membership is going to determine which of those areas to focus on, which projects to initiate first. For more on the The Open Group Security Forum, please visit http://www.opengroup.org/subjectareas/security. For more on the The Open Group Healthcare Forum, see http://www.opengroup.org/getinvolved/industryverticals/healthcare. Jim Hietala, CISSP, GSEC, is the Vice President, Security for The Open Group, where he manages all IT security, risk management and healthcare programs and standards activities. He participates in the SANS Analyst/Expert program and has also published numerous articles on information security, risk management, and compliance topics in publications including The ISSA Journal, Bank Accounting & Finance, Risk Factor, SC Magazine, and others.